why is "got milk?" wrong? Probably because it's a colloquial expression that is technically grammatically incorrect and maybe the course creators are not familiar with that particular ad campaign? Are you even allowed to say it if you're not wearing a milk mustache? This means, do you have milk, or are you in possession of milk. Got milk would be an Americanized "slang" or something abnormal that Russians don't normally say. I once heard of the ads being run in Latin America, mistranslated to the Spanish phrase a nurse would ask a new mother - "Are you lactating?" By the way "У тебя есть молоко?" could be translated as "Are you lactating?" too. Why if you say у меня есть it means 'i have' but if you say у тебя есть it means 'do you have'. In the first sentence it means i and in the second it means you why? An why we didn't use я for i here? It is a question, that's why you use "do you have...?" here. In Russian the words order are the same in affirmative and interrogative sentences. У меня есть молоко. - I have milk. У меня есть молоко? - Do I have milk? У тебя есть молоко. - You have milk. У тебя есть молоко? - Do you have milk? Thank you ns_shadow for this helpful clarification. But I am also wondering why the correct form for "I have" is not "Я меня есть" in these instances? Because " ya menya est' " means "I me is". The literal translation of " U menya est' " is "On me is". What is the difference between у тебя and у вас? У тебя - ты - singular informal "you"
У вас - вы - plural or singular formal "you"
How do I say "Do you have the milk?" Since russian lacks articles. The specific milk as a pose to just milk in general. У тебя есть такое молоко? for example :) You can say it to find out if somebody has that sort of milk. And you're supposed to clarify what sort of milk you mean. One cas say also "у тебя есть то молоко?" meaning some specific milk that they discussed recently and it is clear for both of them what they meant. But some clarification is usually required. So if you just looked in the fridge and didn't find it, for example, you couldn't just say to the other person in the kitchen, "У тебя есть молоко?" I'd like to know this as well. In English, french, and many other languages we have pronouns like I, you, he, she, etc. But yet in this sentence both have у at the start. Is the меня the pronoun? Yeah, that's not quite correct. It's asking Do you have milk? In this case if you were trying to say Do you have any milk, it would have to include всякий. What is the purpose of U in this sentence? Past questions have all used U to say "I have" but this one is "Do you"
It's a typical construction. "У кого-то есть что-то" - "Somebody has something." Somebody and something are in genitive and nominative cases, correspondingly. Is "тебя есть" contracted when spoken? Sort of like "тебесть"? Could sound like that, at least with "у меня есть". No, it can't be contracted because "я" in "тебя" and "меня" is stressed. 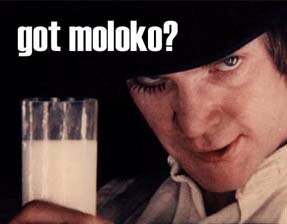 No, but it is sometimes contracted to "у тя есть..."
I put in "do you have milk?" and it said it was incorrect. The correct was apparently "do you have ANY milk? ".....how does the word "any" come from that? "Do you have a milk" is wrong? In English milk is a non countable noun on it's own (similar to water), whereas a bottle/ a glass/ a carton are countable nouns. See English grammar: quantifiers. Examples: Do you have a bottle of milk? compared to: Do you have some milk? "Ест" is form of verb "to eat" ("есть") used with he/she/it in present time: "он ест" (he eats). No more meanings. "Есть" has at least 3 meanings in one word. 1) To eat. "Я люблю есть яблоки" (I like to eat apples). 2) Form of verb "to have" ("иметь", "обладать") used in present time as in the sentence. 3) "To be" which is usually omitted. Just realized that in Russian there is one word for "to be" and "to have" as one can think about existence of something as being posessed by the universe or by someone you don't specify. Examples: "Есть ли смысл...?" (Does it make sense...?) You also can say "Имеет ли смысл...?" WHY DOES GOT MILK NOT WORK? UGH, THOSE RUSSIANS AND THEIR IGNORANCE OF WESTERN IDEALS SUCH AS "PUT THAT MILK DOWN YOUR THROAT YOU ❤❤❤❤❤❤❤ ❤❤❤❤❤❤❤ 5 YEAR OLD!" That's the dude of clockwork orange? Где вы видите здесь any? Lemme see, when the frase "У тебя есть" is a question, it is meaning "Do you have", and when it is in affirmative, it is meaning "I have". Am I right? "У" means "I" right? Why do they put it at the beginning of the sentence then? "У + (genitive) " means "By this". ест means "there is". Я means I, while the genitive case for it is меня. it told me "you have got milk" and I was like .... who in the world speaks like this? I mean us Americans may butcher the language but this is just not right. It's grammatically correct. The contractions that are mostly used like "You've got" are fine and should be accepted as a valid answer, but when writing academically, contractions aren't very well received. Now I don't know how academic Duolingo should or can be considered though.